It's all go at the front end of our magnificent Vulture 2 , and following the recent taming of the spaceplane's cantankerous canards, we've now mounted a hot-off-the-press Raspberry Pi in the Sky - the dedicated telemetry board for the Raspberry Pi. Fans of our Low Orbit Helium Assisted Navigator (LOHAN) project will know that Dave Akerman had already mastered the use of a Raspberry Picam, GPS unit and radio transmitter to beam images from aloft and grab video on High Altitude Ballooning (HAB) flights. The lightweight Picam/Pi combo was, therefore, the obvious choice for the Vulture 2 camera capability. Back in February, we installed and tested that in anticipation of the arrival of Dave and fellow HAB specialist Anthony Stirk's Pi in the Sky, which consolidates all of the previously loose bits into one neat package. 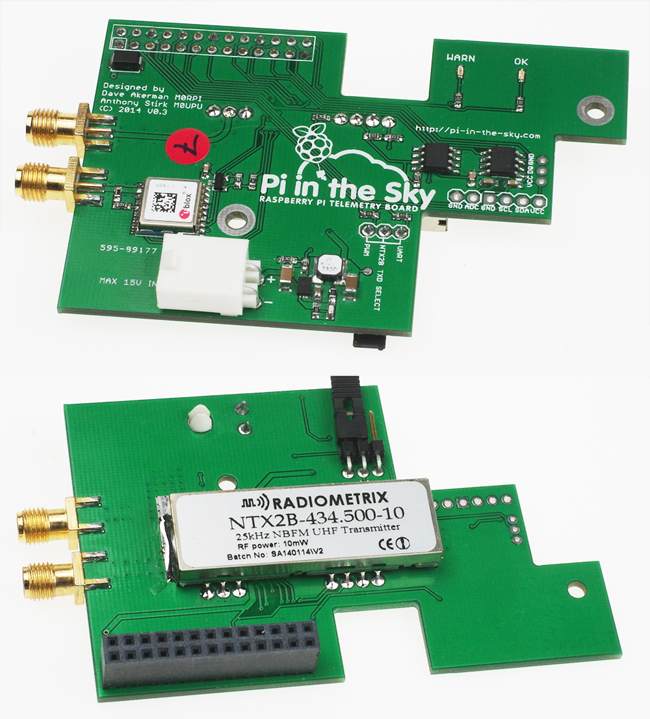 The Pi in the Sky combines a uBlox GPS and Radiometrix transmitter, the latter reporting position while delivering lo-res live imagery via SSDV (Slow Scan Digital Video). The power connector on the left plugs the Pi in the Sky into four Energizer Ultimate Lithium AAs (mounted further back in the fuselage, see here). 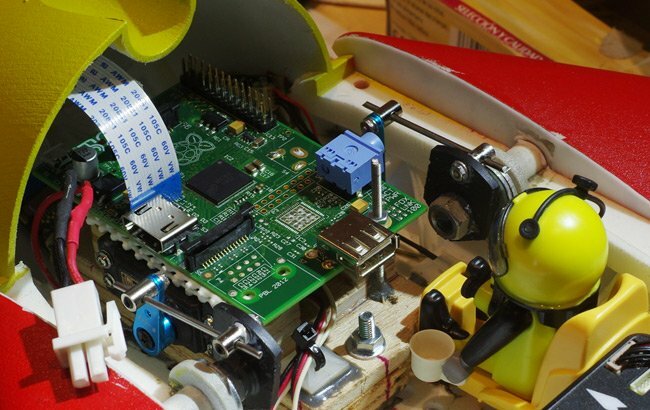 The Pi gets its juice from the same source via the GPIO. 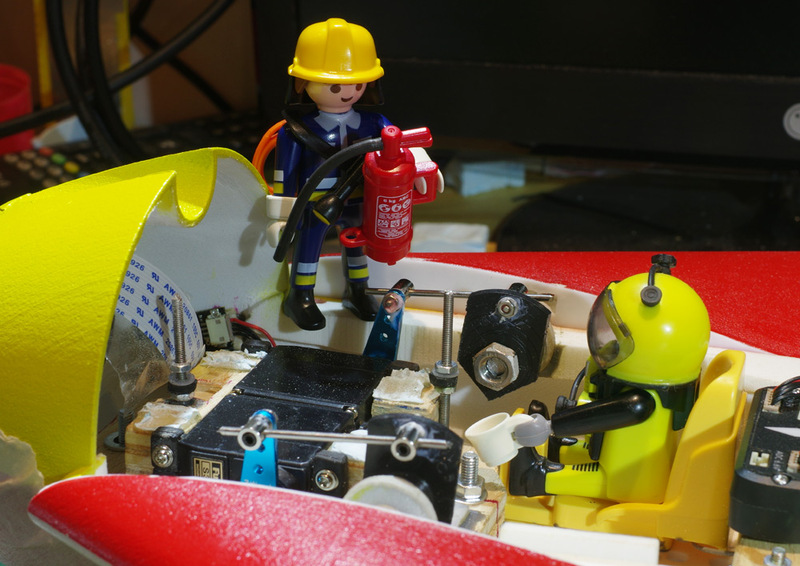 Note that we've removed the Pi's RCA video socket, because it was perilously close to the starboard canard servo horn, and generally getting on our nerves. 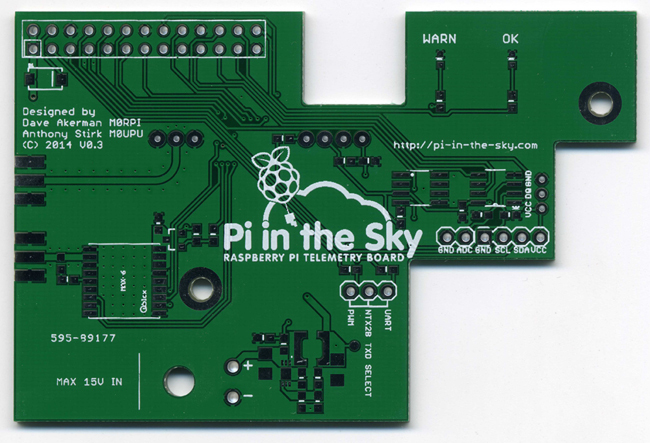 The Pi-Pixhawk interconnect will allow us to access the autopilot for control and programming purposes, once we can get the damn thing working. 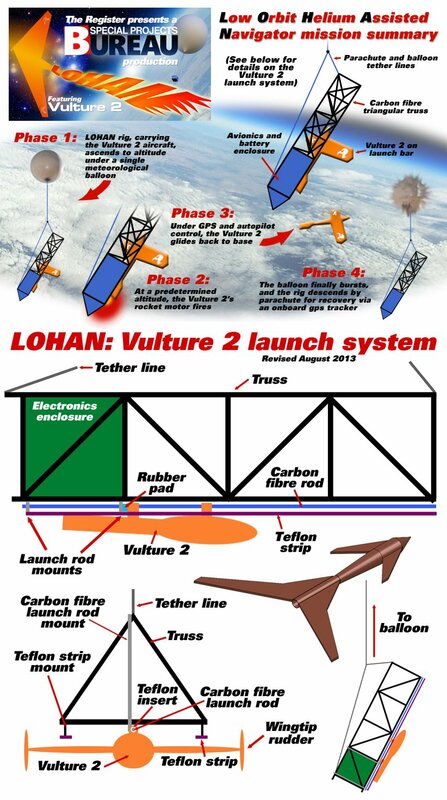 Rest assured, we have a team of top operatives poised to do just that, after which we'll be able to tackle the Vulture 2's custom mission parameters. *It's customary to say in these cases installation "couldn't be easier", but to our mind that would mean the thing unboxing and installing itself, while we enjoy a couple of G&Ts on the terrace.